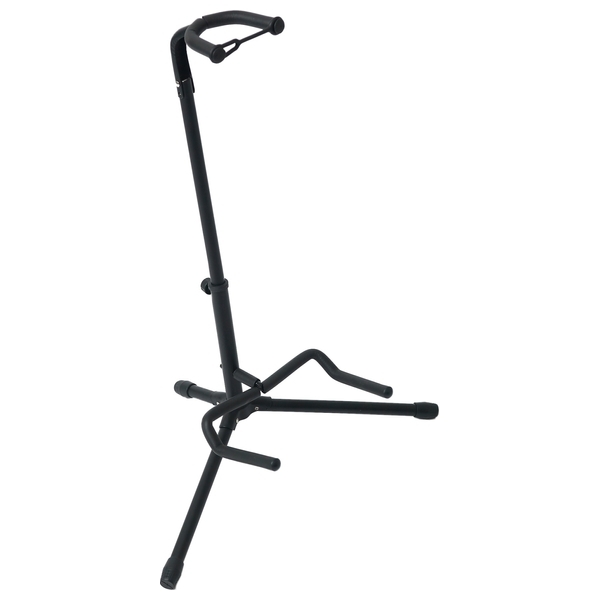 This Stand is sturdy and foldable and can be adjusted to accomodate 75cm, 91cm and 104cm guitars. It is also suitable for both acoustic and electric guitars. The foam covers on the arms ensures your guitar is protected as well as stable.